Mobile Money is one of the generic terms for the ability to provide a number of financial services to customers, delivered by the phone. More than half a billion Mobile Money accounts were registered as of the end of 2016, with more than 170 million active accounts around the globe. People can use a Mobile Money account to receive their salary payment, purchase their electricity and water, buy groceries, transfer money to people they owe, pay their bills, move money to a savings account, and if required access the money as cash. There has been some good progress in this area across Africa. This is being led by Safaricom with M-Pesa who, in their full year 2016-2017 results, reported 19 million active subscribers, with 10 transactions per customer per month. 7 million of these customers had an active micro-loan. Revenues grew from 45.6 billion KES in 2016 to 55.1 billion KES in 2017. Safaricom has over 130,000 agents for M-Pesa customers to interact with. Transaction values have a 5-year CAGR of 27%. This is just one example with the GSMA reporting that in December 2016, across the Mobile Money industry, over $22 billion in transactions was processed and registered accounts passed half a billion in 2016. With all of this growth, one area that has lagged behind is the B2B sector, with many businesses not understanding the benefits that Mobile Money can bring. So what is Mobile Money? Various Mobile Money operators allow customers to ‘load’ their phone with cash, then provide financial services such as paying bills, transferring money, buying airtime, or more sophisticated services such as savings, insurance and loans. Of course customers can then ‘unload’ their phone money accounts transferring the Mobile Money into cash at a network of local agents. Is this not just for consumers? Well – although originally started as a consumer initiative, businesses are moving in quickly. They know that handling cash is time consuming, expensive to manage and fraught with risk and fraud opportunities. Mobile Money provides generic ‘collections services’, allowing businesses to take payment, anywhere and at any time. The operator will usually charge a percentage fee for this service, and usually this is much less than the normal cost of handling cash. No longer does the business have to wait for the cash to get to a bank – as soon as it is sent by the mobile phone it is available in the bank. Many businesses are using Mobile Money to disburse their salary payments, especially if their workforce is spread across the country. Again this gives instant access to salaries, no cost of handling cash and less fraud risk as benefits. Businesses that operate at a distance, or those with a dispersed field force will benefit from being able to manage ad-hoc payments where needed. For example if a haulage driver needs a replacement tyre, funds can be sent immediately and efficiencies of the team maintained. Some businesses have also used Mobile Money for marketing campaigns. Winning cash is always nice and with small amounts being able to be sent efficiently and at low cost it is a good way of engaging with customers remotely and directly. The most critical point to realise is that each market is different. 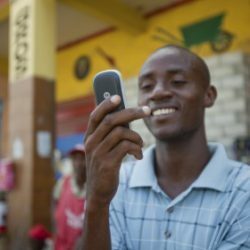 Mobile Money has, for the most part, been an initiative led by the Mobile Phone operators. However recently we see banks providing similar looking services. 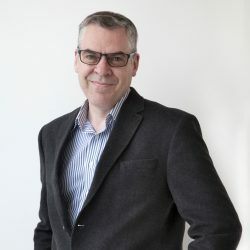 Greg Reeve is Founding Partner of MFX – Mobile Finance Experts LLP and previously was the Head of Mobile Payments for Vodafone, being responsible for M-Pesa from 2009-2013, and later General Manager for Millicom Mobile Financial Services. He has served on the board of Bima (the world’s largest micro-insurer), Rswitch (the national switch of Rwanda), and currently provides NED and C-Level advisory services to Belcash in Ethiopia. MFX consists of a number of world-class experts, each expert operational practitioners in their field. MFX specialises in Mobile and Digital Finance services and has clients in Libya, Nigeria, South Africa, Ethiopia, Kenya, and Tanzania. © 2019 Executives in Africa. All rights reserved.